I have this Desert Garden that I made last year, and to this day, those succulents are still thriving. Before you pat me on the back, I’ll have you know that every single thing I planted prior to that garden has died. I don’t have the greenest of thumbs, although I secretly dream of walking out into my “garden” and picking fresh produce for the evening’s meal. If your thumb is greener than mine (and I’m assuming it is) or you are an aspiring gardener, Armstrong Garden Centers is your go-to for gardening regardless of your skill level. 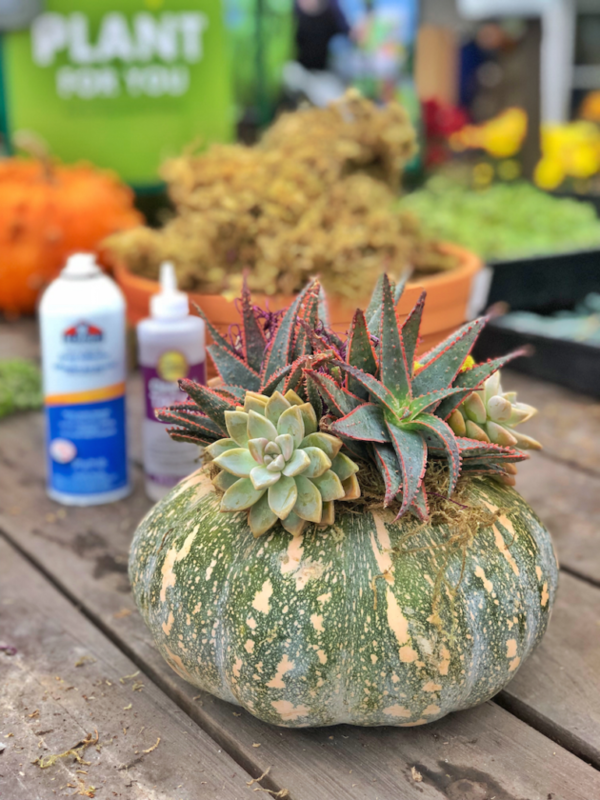 Earlier this week, I spent an hour at my local center making a DIY Pumpkin Succulent Planter. Spoiler alert: it is still alive. 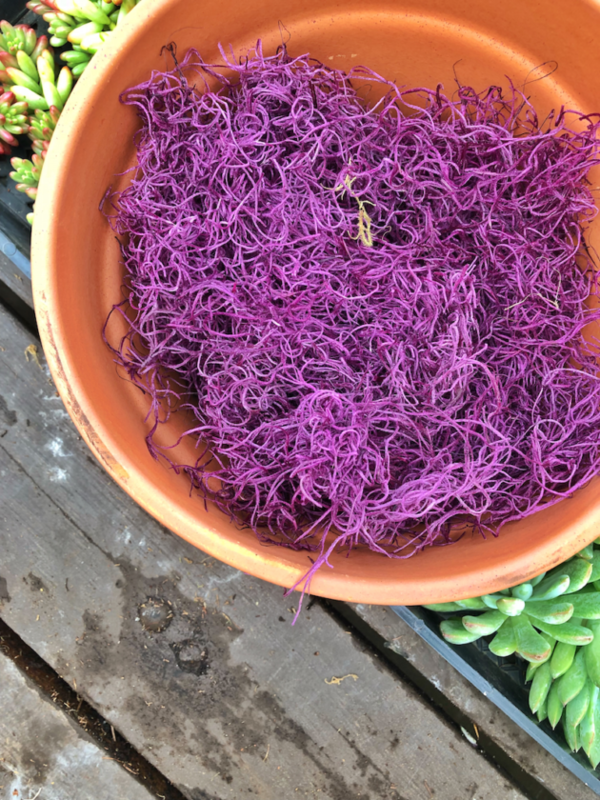 Prior to our Make and Take Class, I had never stepped inside an Armstrong Garden Center. The nursery sells flowers, vegetables and other plants grown locally. You can also opt to grow your own garden with the seeds, soil, fertilizer and planters available for purchase. 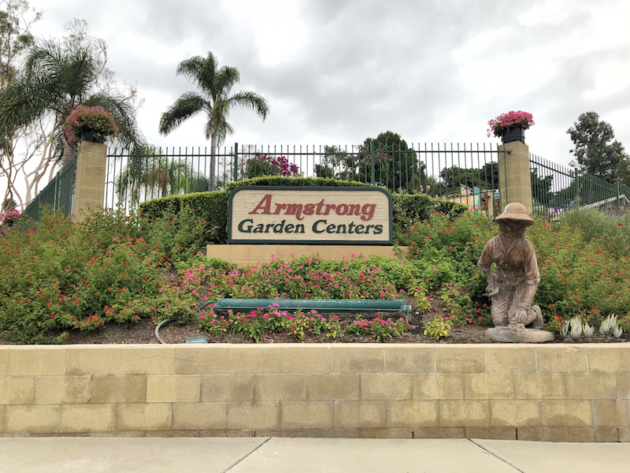 As you explore the center further, you will find that Armstrong Garden Centers is an invaluable resource for gardeners, homeowners, and anyone who wants to DIY. Their centers provide landscape services including design and installation, home consultations, and personal shopping. Visit the Armstrong Garden Centers website for seasonal DIY projects, how-to videos, and monthly gardening tips. 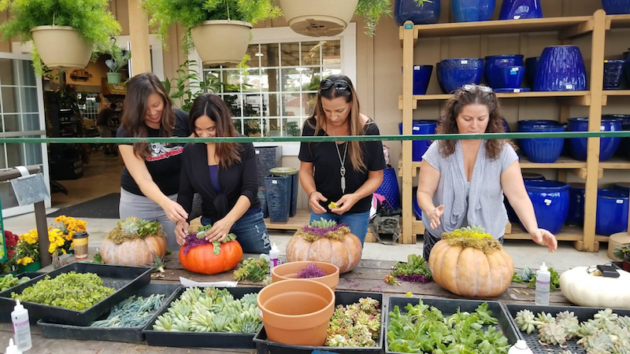 I love DIY, but I know my limitations, which is why I was excited to learn about Armstrong Garden Centers’ community classes. Each workshop is diverse and designed to help take your gardening skills to the next level. Some of the classes, like their Cool Season Edibles Class, are free. Gardening advice and hands-on demonstrations are provided by a nursery professional and their free garden talks are offered for local gardening clubs, homeowners associations and local community groups. Clean off the top of the pumpkin with a dry paper towel or rag. Spray the top of the pumpkin with the adhesive. Tip: Cut a piece of paper to use as a guide to avoid spraying glue onto the side of the pumpkin. Quickly add the moss to the top of the pumpkin before the glue dries. Press down gently to ensure the moss sticks. Glue on the succulents. 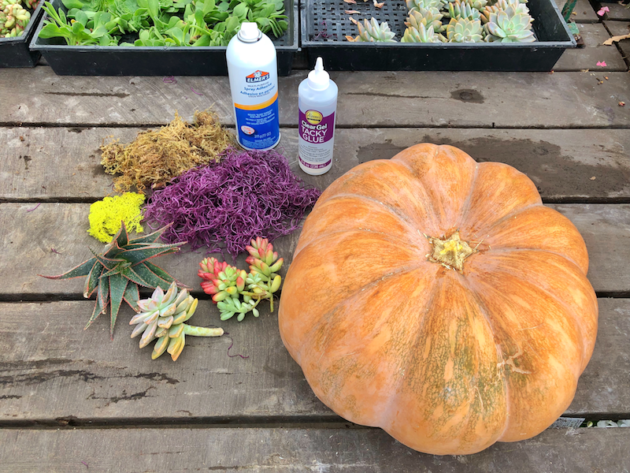 Squeeze the glue directly onto the succulents or dip the succulents into the glue. 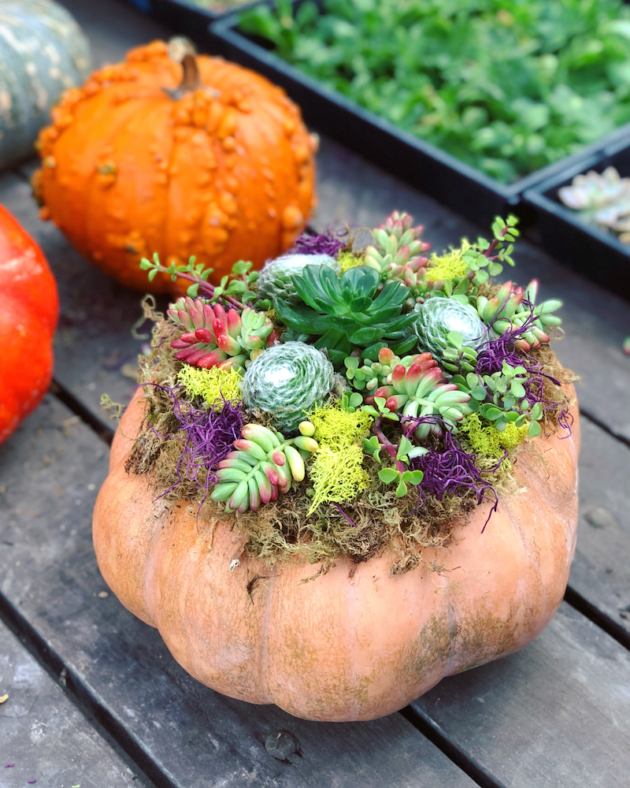 Start with larger succulents to cover the pumpkin stem and work your way outwards. Once you have covered your stem, add in longer pieces that can trail over the edge of the pumpkin. 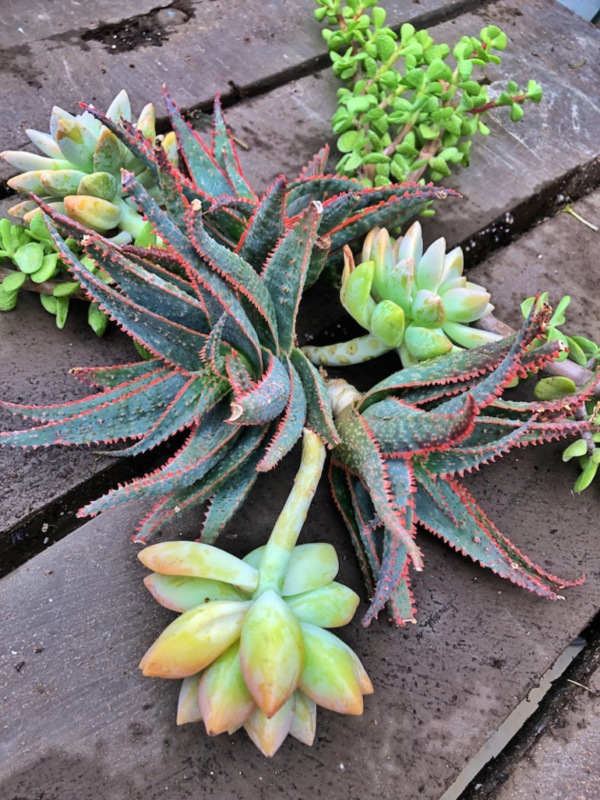 Use scissors to shape the succulents to size and fill in all the extra gaps. Use extra moss to help fill in any spaces. Sticks and twigs can help add some height to your design. Trim to a reasonable height and glue into the pumpkin. You can also glue moss onto the bottom of the sticks or twigs to help with support. Be sure to rotate your pumpkin and look at it from all angles to make sure your design is even all the way around. Use scissors to trim and shape any excess moss around the edges. Spray with water once per week to keep the plants looking fresh. 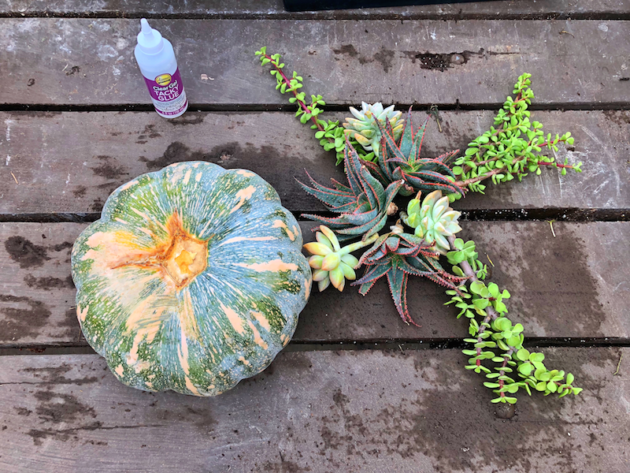 This DIY Pumpkin Succulent Planter was easy to make and makes for a lovely table centerpiece or porch bling. I am the girl who pins all of the crafts and DIYs on Pinterest and never makes a single one. For someone like me, who isn’t necessarily crafty, having someone walk me through the process was invaluable. 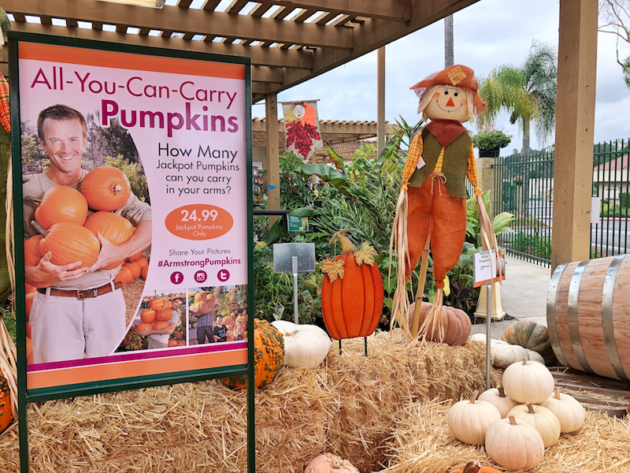 Create a beautiful planter for your porch or patio using a carved pumpkin at Armstrong Garden Centers. The fee for the class is $49 and registration is required. 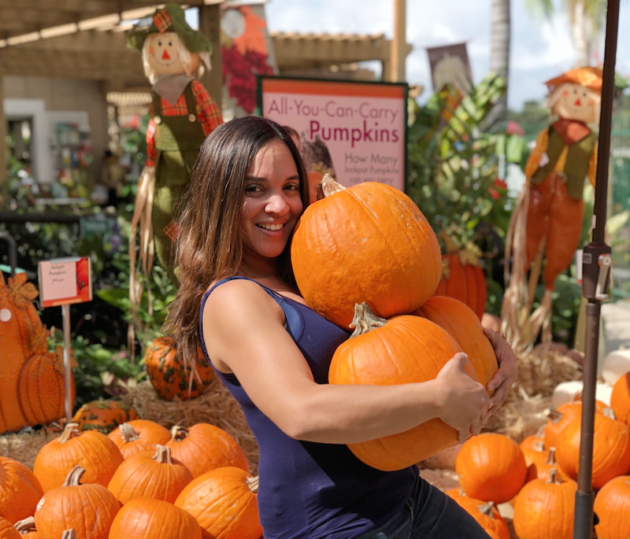 How many jackpot pumpkins can you carry? 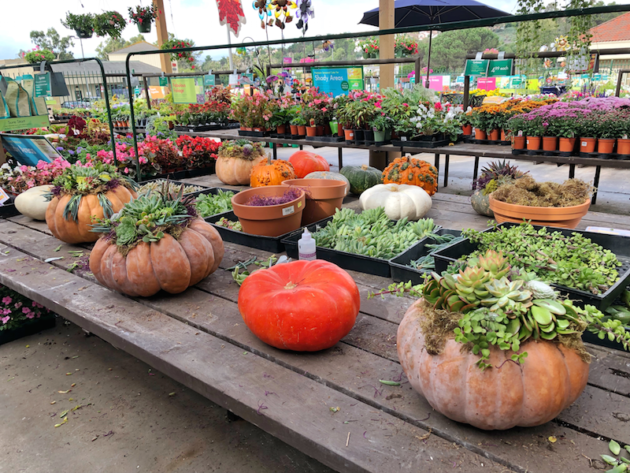 Take them all home for $24.99 at your local Armstrong Garden Centers (through October 21, 2018). 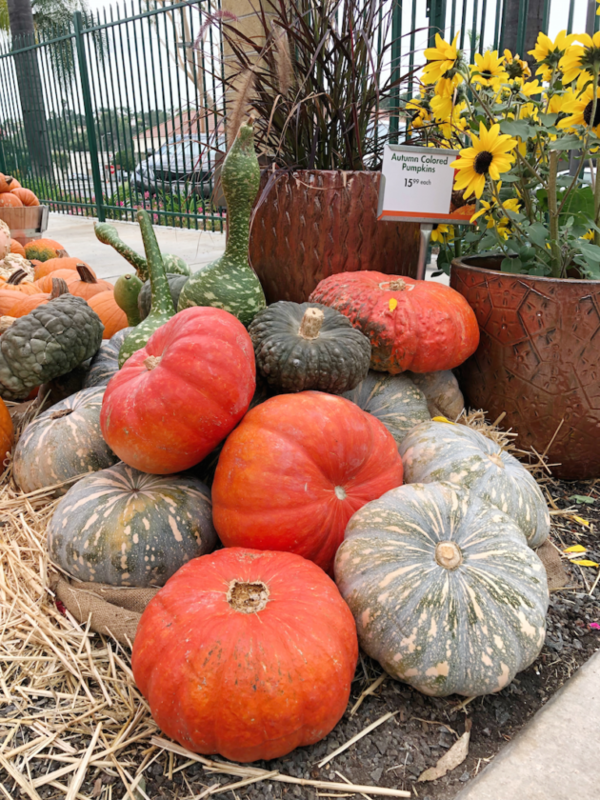 Saturday, October 14 at 9:00 a.m. – Cool Season Edibles – There are wonderful assortments of healthy, great tasting vegetables to plant for fall, winter and early spring. Attendees will find out which varieties are best to plant. No registration required for this free class. 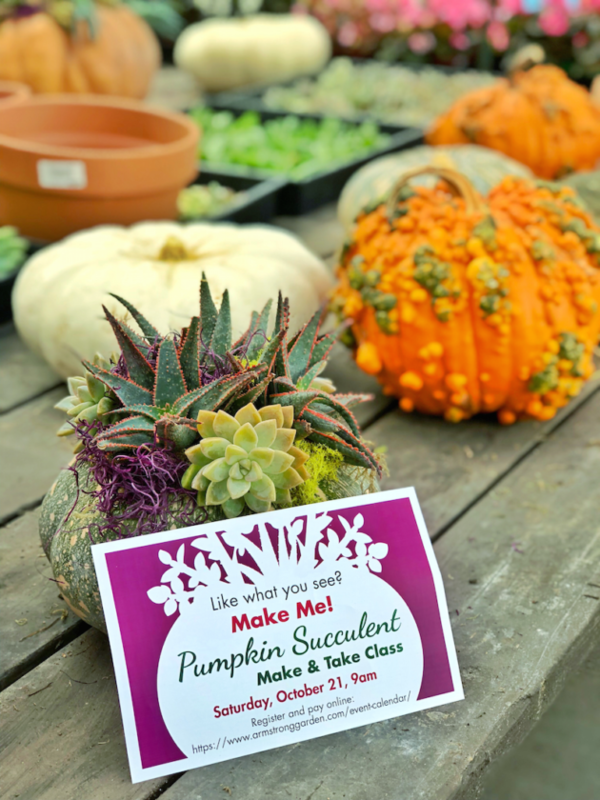 Saturday, October 20 at 9:00 a.m. – Make & Take Class: Pumpkin with Succulents – Create a fun and unique planter for your porch or patio. All materials will be supplied. 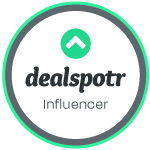 Prior Registration is preferred, and a $49 fee is required. Saturday, October 27 at 9:00 a.m. – Kids Halloween Make & Take – This free class is sure to be a treat for parents and children alike. 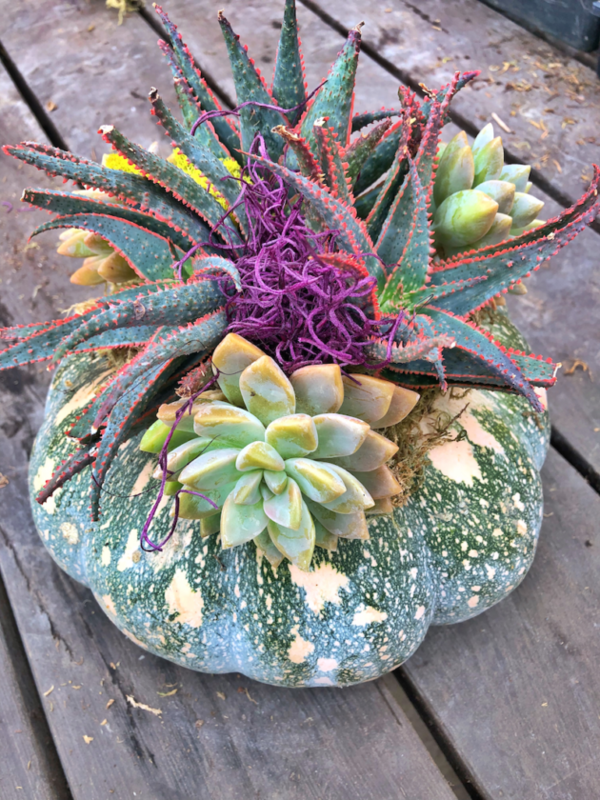 Kids will plant a Halloween inspired container. Basic gardening principles will be introduced. Parents must stay with their children. Registration required as space is limited. Free. Thursday, November 29 at 3:00 p.m. to 7:00 p.m. – Event: Christmas Open House – Shop special savings and enjoy a festive signature ‘Poinsettia Cocktail’ (champagne + cranberry), plus sweet treats. The perfect time to pick out the perfect Christmas tree. Food and drinks will be served while supplies last. Be sure to visit Armstrong Garden Centers on social for additional gardening tips and DIYs. I love this idea! They are so pretty!